Choo! Choo! 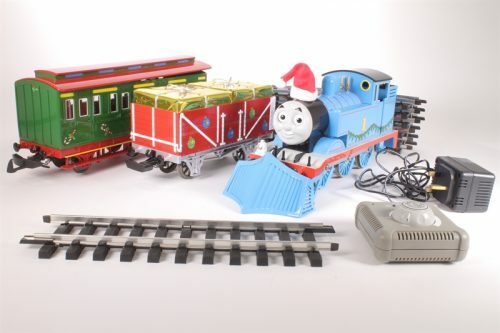 Thomas With Annie And Clarabel from Bachmann Trains are chugging their way into your child’s train collection. This No. 1, blue engine has brought his 2 coach cars, Annie and Clarabel along to help build your child’s Thomas & Friends train collection. 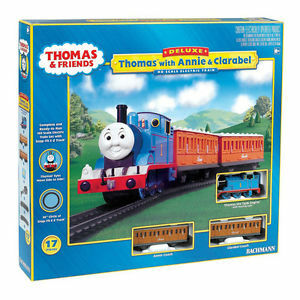 Annie and Clarabel are attached to Thomas with international-style couplers and are faithful in helping Thomas every day at Sodor Railway. This clan runs on HO scale tracks and are compatible with HO scale and E-Z tracks. As a cheeky little engine, Thomas is ready to visit your child’s tracks and work hard with Annie and Clarabel. 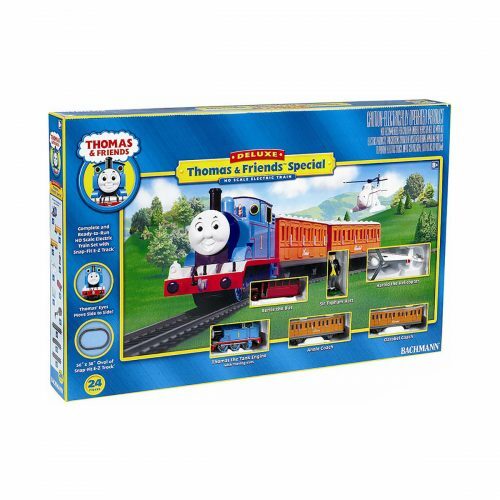 Thomas also has silly moving eyes and is a highly-detailed locomotive. 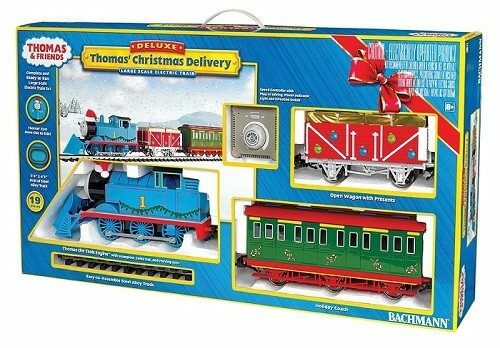 Add Thomas With Annie And Clarabel from Bachmann Trains to your kiddo’s train set and experience the joy of this little blue engine and his 2 friendly coaches.